Monday night was family night. Continuing on in the Gospel Principles manual, I used chapter 4: Freedom to Choose as my lesson plan. I've already taught June a couple lessons on free agency and the importance of choice, but it is always a good subject to return to. After all, making good choices is the premise of a happy and successful life. There's a right way to live and be happy. It is choosing the right every day. I am learning the teachings of Jesus. They will help me and show me the way. Choose the right way. And be happy. I must always choose the right. I will truly be happy each day. Lesson: Agency is an eternal principle. We had moral agency before we came to earth. We are free to choose between evil, good, better, and best. We are free to choose liberty and eternal happiness by Jesus Christ, or captivity and death by following Satan (2 Nephi 2:27). Agency was one of the biggest issues in the premortal life. We are here on earth because we chose to keep our freedom to choose. Agency is a necessary part of the plan of salvation. Agency is what makes our life on earth a period of testing (Abraham 3:25). Without free agency, a gift from God, we would be unable to show Heavenly Father whether we would do all He has commanded us to do. Because we can choose, we are responsible for our actions (Helaman 14:30-31) When we choose to follow God's commandments and make right choices, our agency is strengthened, our power to make good decisions increases, and we grow in wisdom and faith. If we continue to keep His commandments and make right choices, we will learn and understand more things and become more like our Heavenly Father (D&C 93:28). Agency requires that there be a choice. We cannot choose righteousness unless the opposites good and evil are placed before us. There must me "an opposition in all things. If not so...righteousness could not be brought to pass, neither wickedness, neither holiness nor misery, neither good nor bad" (2 Nephi 2:11). God allows Satan to oppose the good (Moses 4:3-4). Satan does all he can to destroy God's work, for he seeks our misery. He doesn't love us and he doesn't want us to be happy (Moroni 7:17). He desires our enslavement. When we give into Satan's temptations, we limit our future choices. Even though we are free to choose our actions, we are not free to choose the consequences of those actions, good or bad. Consequences follow as a natural result of any choice we make (Galatians 6:7, Revelation 22:12). To escape captivity through Satan, we must watch and pray always, asking Heavenly Father to help us withstand Satan's temptations (3 Nephi 18:15). Heavenly Father will not allow us to be tempted beyond our power to resist (1 Corinthians 10:13). God's commandments keep us from danger and lead us to eternal happiness. Activity: I was initially quite ambitious in planning for this activity. I was going to make a large maze throughout my home using pieces of paper. I planned on eight "choice" points, on way leading to a room and the other way down the path. However, since we spent most of the day training and helping a friend prepare for her move, I instead decided to simplify the activity and have June do a paper puzzle. I kept the eight "choice points". At each choice point she would have to answer a question. 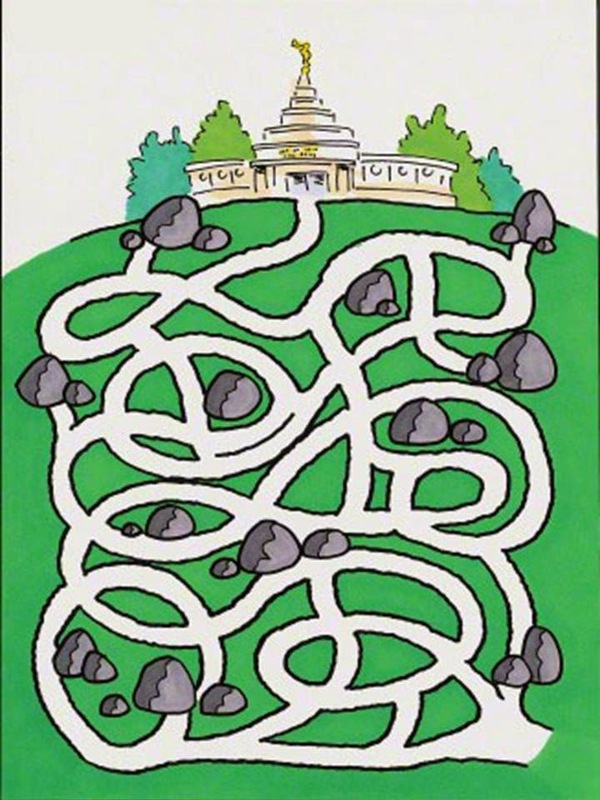 The right choice kept her on the clear path and the wrong choice brought her to a stopping point which was designated by a pile of rocks blocking her way. The end of the maze led to the temple, which is exactly where we will be led as long as we make the best choices and follow the path the Lord has laid out for us. 1. Jesus Christ and Satan present plans in the premortal life. Do you choose to follow Jesus or Satan? 2. There is a new boy in your church class. Do you choose to say hello and befriend him, or do you choose to ignore him? 3. The kids at school are making fun of a new girl. Do you choose join in, or do you choose stand up for her? 4. You are turning 8 years old! Do you choose to be baptized, or not? 5. Your dad asks you to clean your room. Do you choose keep playing or clean up? 6. Your mom is making spaghetti for dinner, but you want pizza. Do you choose to thank her for making the meal and eat it, or do you choose to throw a fit because you didn’t get your way? 7. You colored on the walls and your parents find out. Do you choose to blame your brother, or do you choose to take responsibility? 8. You’ve been watching your TV show all day. Mommy and Daddy now want to pick a show. Do you choose to kindly watch with them, or do you choose to throw a temper tantrum? June like the maze quite a bit, but she is still a little too young to understand the directions. She just wanted to color the entire paper. Yet, she did enjoy answering the questions, and got all but two right. 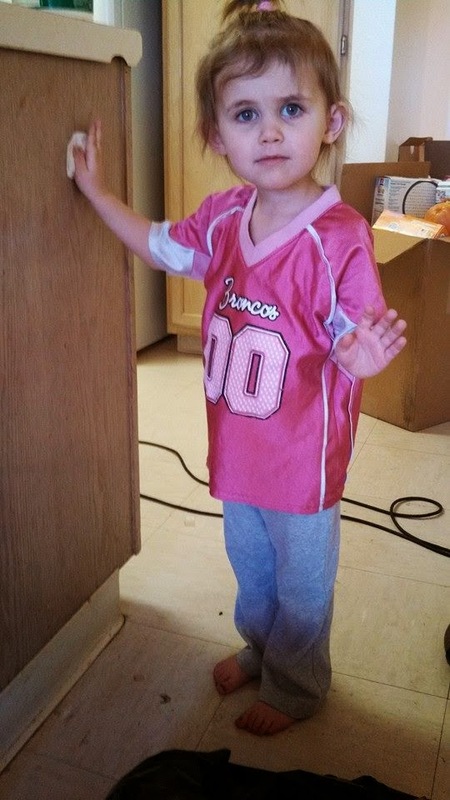 I also told her that choosing to help our friends when we need them, like she did today in cleaning, was a very right choice, so she got some early Easter candy as a happy consequence. Before Wednesday, it seemed that my motivation was waning. I did some basic work outs, but nothing near the level of intensity I needed to train for this 10K. I decided I needed to revert to a proverb form of motivation, a running buddy. I called my friend Maria, and the next day we both went for a run. 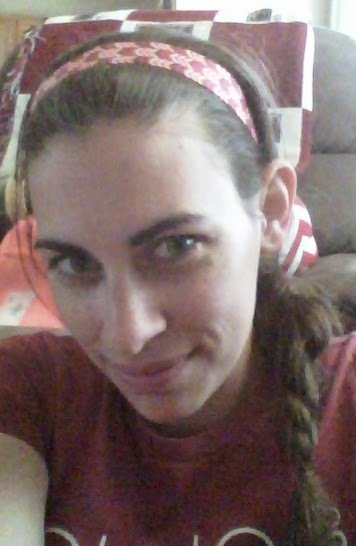 I ran 5 miles, which is the farthest I've run straight since I developed my thyroid condition. Marie is such a wonderful running buddy. She slow down when I needed to slow down and she was very motivating me the entire run. I wasn't really expecting to run the entire distance, but once I saw we already reached the four mile point, I knew I could do it. That run with Maria gave me the renewed motivation and renewed confidence I was lacking, which now is fueling my excitement for Saturday's 10K. I now know I can run the entire distance, and I'm fairly confident I will PR. Maria used a gps watch to track our progress. Usually I just strap my phone to my arm and use a mapping app. I like the mapping apps because I can see my route, so if I get lost I can usually find my way back to were I'm supposed to be. The big drawback to a mapping app is that I can't just look at my wrist and see how how far or how long I've ran. I have to actually take my phone out of the pouch on my arm to see my progress. Additionally, it drains my phone battery. I find at the end of a 45 minute run, my phone is just about redlining. 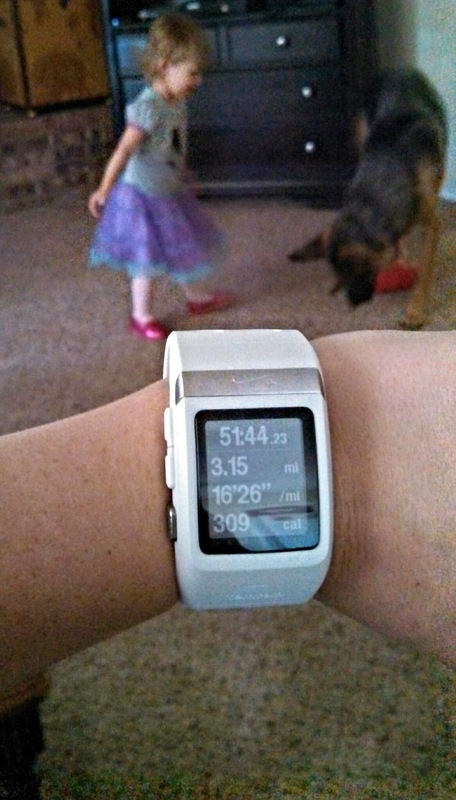 After seeing the ease of the GPS watch on a long run, I was convinced I needed to get one. Luckily I hadn't spent all my birthday money yet, so I picked up the Nike+ sport watch. 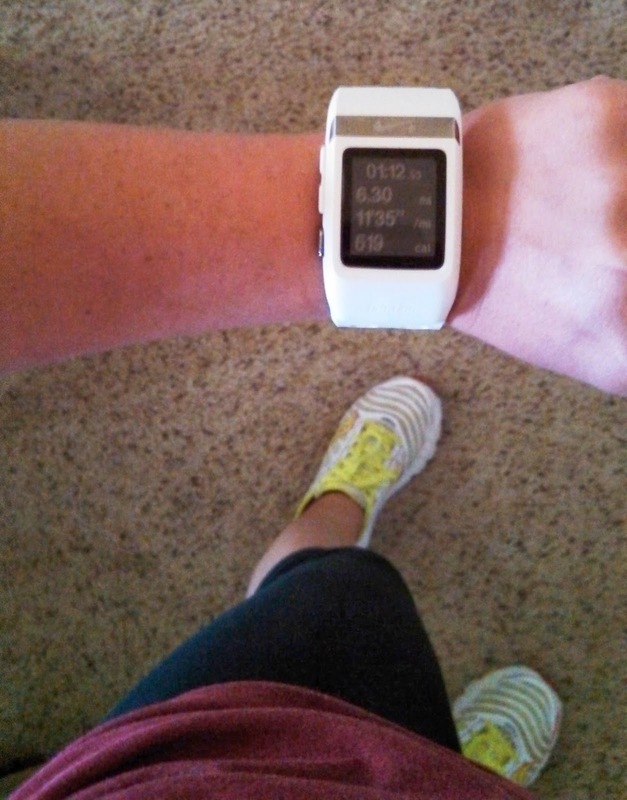 With my new running gear, the brand-new GPS watch, I was completely ready to do a run. I was actually ready to go out immediately that day even though I had just completed a fairly difficult run, but I restrained my enthusiasm for the next afternoon. The very next day I went for a run with my friend Keri. We went 3 miles, completing walk-run intervals, and the GPS watch worked wonderfully. It really proved itself on this maiden run. I was able to tell her how much further she had left to run and keep track of our total progress, with all that information right there on my wrist in big bold numbers. While it took the GPS watch about three times as long as the phone app to attain a GPS signal, it was well worth the price. I look forward to going on frequent future runs just so I can keep checking my Nike+ profile running log and discovering all sorts of new achievements and trophies I've earned. 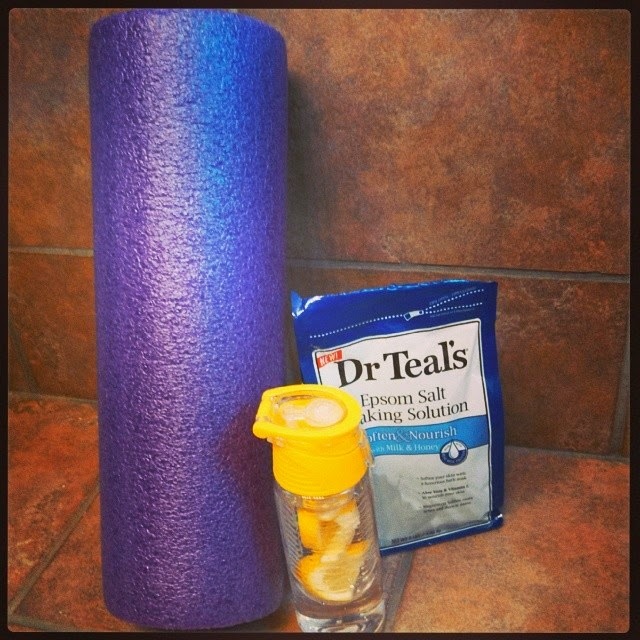 This week was a true testament that running buddies and new gear can fix anything, especially a fitness rut. Monday's Family Home Evening lesson was on Chapter 3 of the Gospel Principles Manual: Jesus Christ, Our Chosen Leader and Savior. This was a pretty involved lesson as it encompasses the Plan of Salvation, the two plans presented, the war in Heaven, and why a Savior was needed. However, the Plan of Salvation is my favorite lesson subject as it is truly a plan of eternal happiness. Lesson: The lesson was broken up into three main areas: the Plan of Salvation, A Savior and Leader was Needed, and The War in Heaven. The Plan of Salvation, also called the Plan of Happiness, is the plan Heavenly Father sent forth for us to have the opportunity to learn, grow, and achieve eternal happiness. We lived in Heaven before we came to this earth as the spirit children of Heavenly Father with Jesus Christ as our eldest brother. When we progressed as far as we could in heaven, we were sent to earth. A veil was placed over our minds when we were born so we could not remember our life in Heaven. This was done so we would have the best chance to develop faith and learn. We are here on this earth to gain a physical body, learn to use our agency, and develop faith by keeping the commandments. When we die, we go to the spirit world. We continue to learn and grow in the spirit world. Then, we are judged based on our choices on Earth and in the Spirit world. We all are then resurrected and we go to one of the Kingdoms of Glory: the Telestial Kingdom (compared to the glory of the stars, those who do not accept Christ as their Savior, murders, unrepentant sinners), the Terrestrial Kingdom (compared to the glory of the moon, good people who accept Christ as their Savior, but did not accept baptism), or the Celestial Kingdom (compared to the glory of the sun, the highest kingdom, those who are good people and have accepted baptism and the other saving ordinances). While teaching the Plan of Salvation, I had June color each piece, and then place it in the appropriate section. 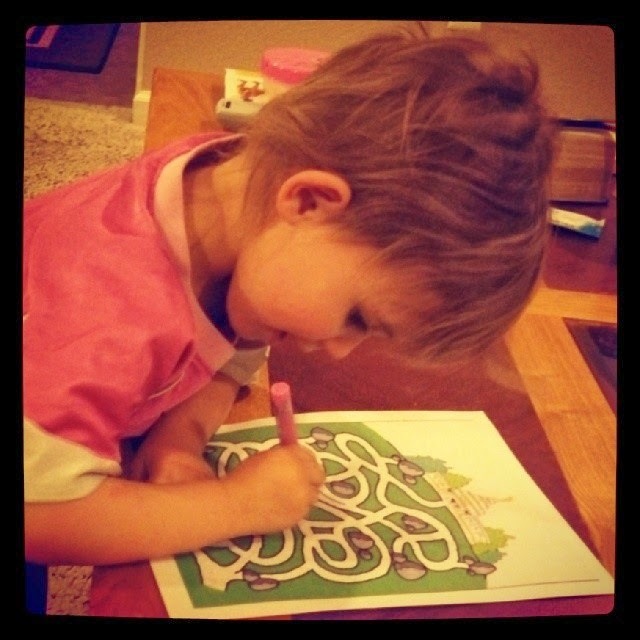 She loves stickers and coloring, so she enjoyed this activity while I spoke. A Savior and a Leader was needed. When the plan for our salvation was presented to us, we were so happy we shouted for joy. We knew we would need help to return to our Father in Heaven because we knew all of us would sin and some would lose their way. We needed a Savior to pay for our sins and to teach us how to return to Heavenly Father. Father asked, "Whom shall I sent?" (Abraham 3:27). Jesus Christ said, "Here am I, send me" (Abraham 3:27, Moses 4:1-4). Jesus was willing to come to the earth, give His life for us, and take upon Himself all our sins. He, like Heavenly Father, wanted us to have agency and the ability to choose whether we would obey His commandments. He knew we must be free to choose in order to prove ourselves worthy of exhalation. Christ said, "Father, thy will be done and the glory be thine forever" (Moses 4:2). Satan said, "Send me, I will be thy son, and I will redeem all mankind that not one soul should be lost and surely I will do it; wherefore give me thine honor" (Moses 4:1). Satan wanted to force us all to do his will, where would not be allowed to choose. He wanted to take away the freedom of choice our Father gave us, and he wanted all the honor for our salvation. After hearing both sons speak, Heavenly Father said "I will send the first" (Abraham 3:27). Christ was chosen and foreordained to be our Savior. He came to earth and taught and set the perfect example as to how we should live our lives. Then, He Atoned for our sins and died for us that we may have the opportunity to repent and return to live with Heavenly Father. There was a war in Heaven. Satan became angry that Father chose Jesus to be our Savior, so he rebelled. There was a war in Heaven, a war of words. A third of the spirit children of Heavenly Father chose to follow Satan, and as such were cast out and lost their right to mortal bodies (Isaiah 14:12-15). Because we are here on earth and have mortal bodies, we know that we chose to follow Jesus Christ and Heavenly Father (Revelation 12:7-9, 11). Satan and his followers are on the earth as well, but they are spirits. They have not forgotten who we are, and they are around us, tempting us and trying to get us to lose our way. We must continue to follow Jesus Christ and accept God's plan, for only by following Him can we return to Heavenly Father. It is up to each one of us to become worthy of exhalation. June chose Jesus' plan and got freedom to choose. Activity: I designated part of my room as the "Premortal Life" by spreading a white blanket on the floor and placing up a sign. 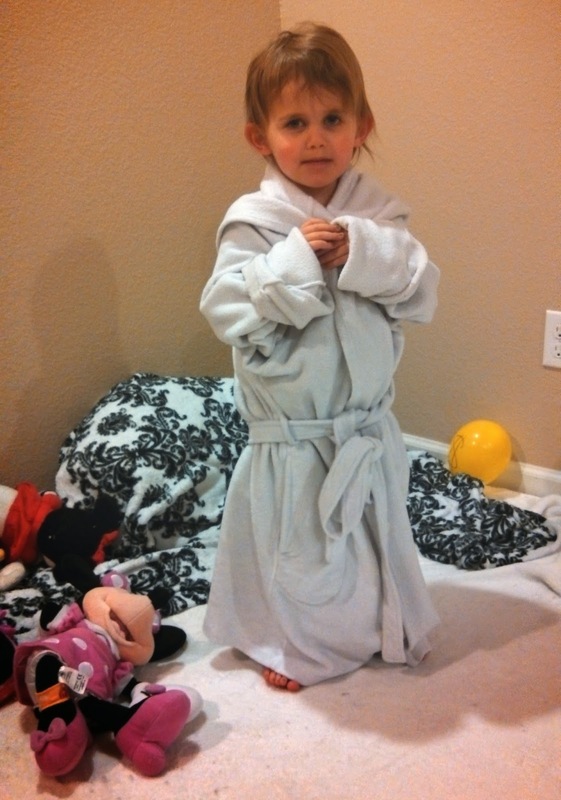 June then got to dress up as her "spirit self" by wearing my white robe. Her stuffed animals were representative of all our spirit brothers and sisters. I placed up a black paper with "Satan" on it on one wall and a white paper with "Jesus Christ" written on it on the other wall. Then, I placed a fitness DVD on the "Satan" side, and a whole assortment of DVDs on the "Jesus Christ" side. This is to represent each plan, for although fitness is a very good thing for us to do, it is the only choice. Just as Satan would choose everything for us. The variety of movies on Christ's side represents our freedom to choose. We can choose any number of good things, or bad things. But, the decision is up to us. I then placed one-third of June's animals under the "Satan" side, and the rest under the "Jesus Christ" side. I mimicked voices for each set of animals, having them try to get June to pick their side. She chose Christ's side and was able to enjoy the fruits of her choice by getting a physical body (I took off her robe), and watch any of the movies she wanted. One-third of her animals chose Satan's plan and had the choice made for them. Both the Plan of Salvation stickers and the Premortal life activity worked well for June. 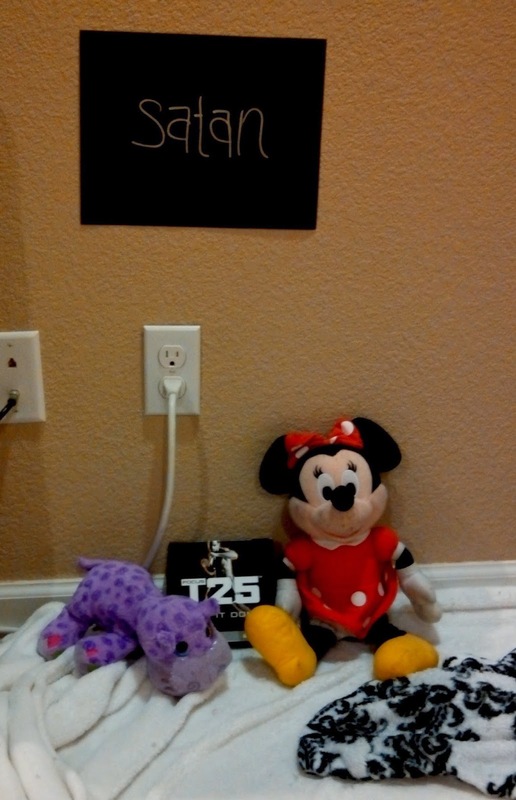 I included all of her favorite things: coloring, stickers, dress-up, and her stuffed animals. She payed pretty good attention to the lesson, so I feel like I need to continue to incorporate at least one of these activities in my future FHE plans. Last night for Family Home Evening, I used Chapter 2 from the Gospel Principles manual as my lesson guide. Our topic was Our Heavenly Family. Song: We sang all three verses to the Children's Songbook song I Lived in Heaven (song # 4). I thought it went well with the lesson subject. Lived there and loved there with people I know. So did you. 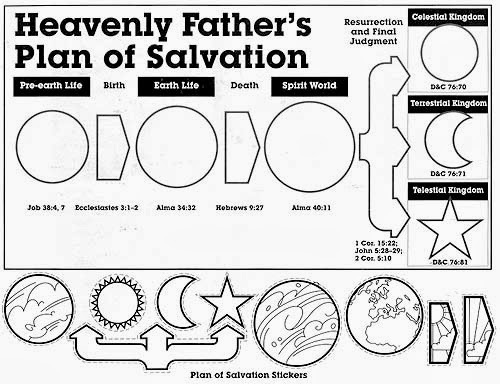 All about earth and eternal salvation for man. To give his life so we all could return there above. There was another who sought for the honor divine. Home in that heaven where Father is waiting for me. Lesson: I taught the lesson outline below from Chapter 2, Our Heavenly Family: We are children of our Heavenly Father. Everyone is literally a child of God! They are our spirit brothers and sisters. Because we are the spirit children of Heavenly Father, we have the potential to develop divine qualities. Through Jesus Christ's Atonement, we can become like Heavenly Father and be happy forever! We developed personalities and talents while we lived in heaven. We were not all alike in heaven. We had different talents, abilities, and interests. We also were called to do different things on earth. When we were born, a veil was placed over our memories so we can't remember our premortal life. Heavenly Father chose the time and place and family for us to be born into so that we can learn what we need to and so we can do the most good with our talents and personalities. Our Heavenly Father presented a plan for us to become like Him. 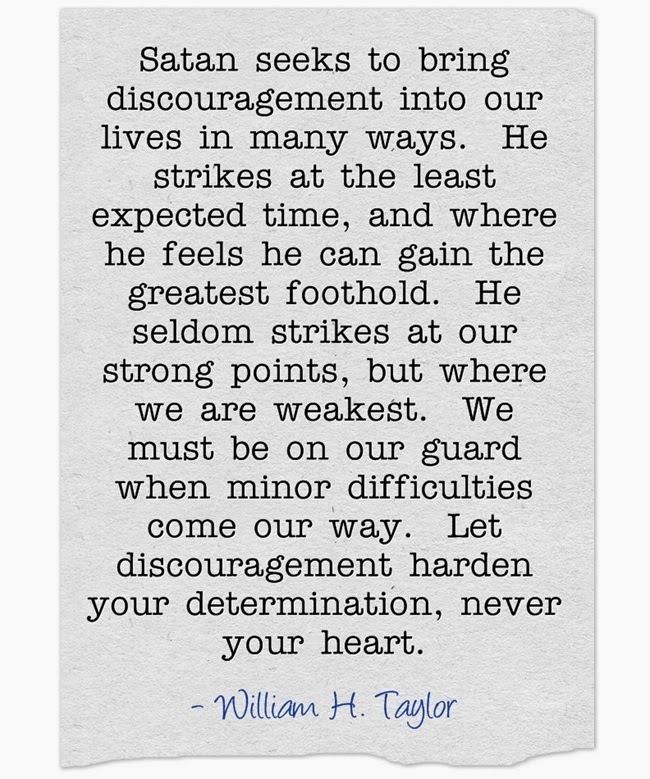 Heavenly Father knew we could not progress past a certain point unless we left Him for a short time. He wants us to develop our godlike qualities, so he sent us to earth to gain a physical body, be tested, and to gain experience using our free agency and our physical bodies. We would need to leave our physical bodies at death and reunite with them in the Resurrection where we would receive perfect immortal bodies. If we passed all our tests, we would be happy forever with Heavenly Father and Jesus Christ. Heavenly Father gathered all His spirit children together as a Grand Council to present His plan. Here, he taught us all about this plan. We learned that all of us would have trials in our lives like sickness, disappointment, pain, sorrow, and death. But we understood that these would happen for us to gain experience, learn, and grow. They would teach us how to have endurance, patience, and charity. We learned that because of our weakness, all except little children would sin, so Heavenly Father would provide a Savior for us so we could overcome our sins and death! We learned if we placed our faith in Him, obeyed His commandments, and followed His example, we could become like Heavenly Father and be happy forever. Activity: For our activity, I taught June a dance to go with the following poem. She had so much fun doing the dance while Mommy read to her. I think we did it five time until I finally told her no more tonight. I found this activity idea from www.ayearoffhe.blogspot.com. I'm absolutely loving my new calling as Clovis Ward Girls Camp Director. This has been my dream calling for the longest time. 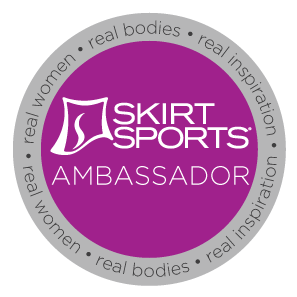 I love working with the young women, and I love all things outdoors that don't involve water or snow, so this is right up my interest-ally. Additionally, this year's camp theme is "BOOT Camp", BOOT standing for "Build Our Own Testimony", which makes it military-related. With my active duty military experience, I feel I can finally use some of that knowledge and accessibility to making camp successful. No kidding, I'm fairly enthusiastic and excited about camp. I think it went pretty well. I think those in attendance found it entertaining and hopefully cute. Following the jodie, I gave the details of camp and described four young woman leadership positions I need to fill. In following with the military camp theme, I called these "Young Woman Camp Officers". 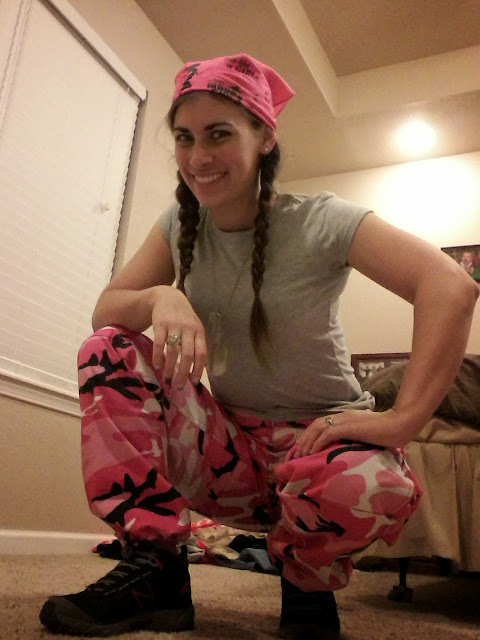 I want to make sure that the girls are taking an active role in planning, organizing, and carrying out their own camp. It's not as fun when the adults take over completely; I feel my purpose as Camp Director is to guide, follow-up, and ensure standards are complied with. I'd have to say, I'm so proud of these wonderful girls. Each of them stepped up and volunteered to take on a leadership role to the point where I didn't have to "volunteer" anyone. They are truly incredible young women. Roswell Stake Girls Camp 2014 is going to be incredible, and I'm hoping that it will also be a powerful testimony-building experience for the young women and leaders. My awesome "boot camp" costume. Why not have fun with the theme? 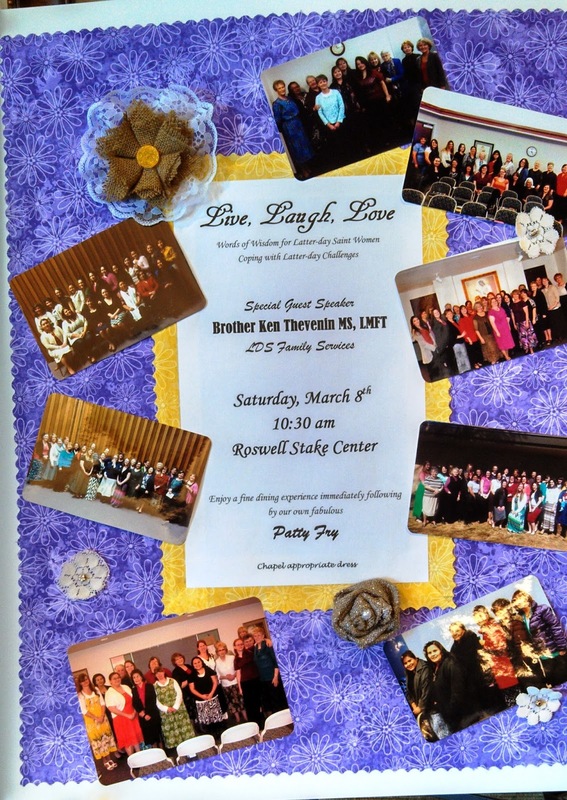 This last Saturday was the Roswell Stake's Women's Conference. 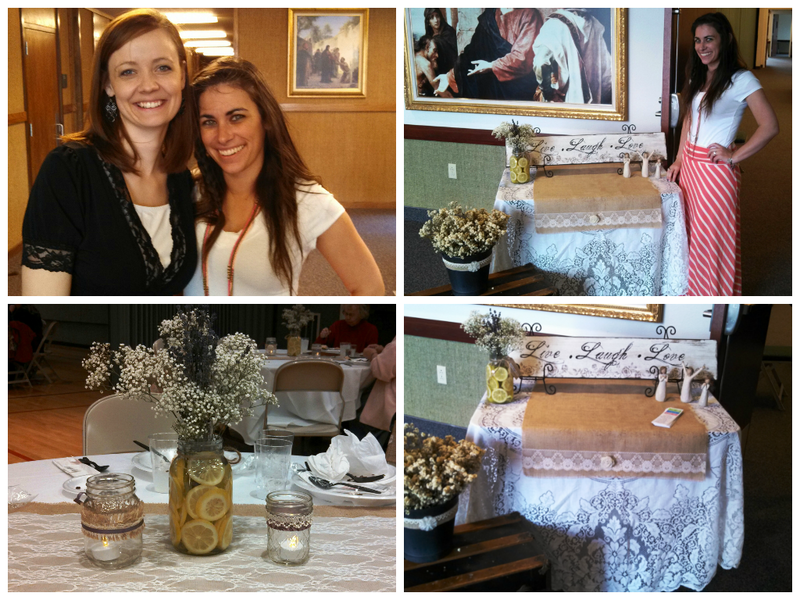 The theme was "Live, Laugh, Love: Words of Wisdom for Latter-day Saint Women coping with Latter-day Challenges." The guest speaker was Brother Ken Thevenin who works with LDS Family Services. The overarching message for this conference was how we can shift ourselves from being task-focused to relationship-focused. We believe in miracles and that they do happen. We often believe we know how things should turn out, but sometimes that's not the Lord's will. 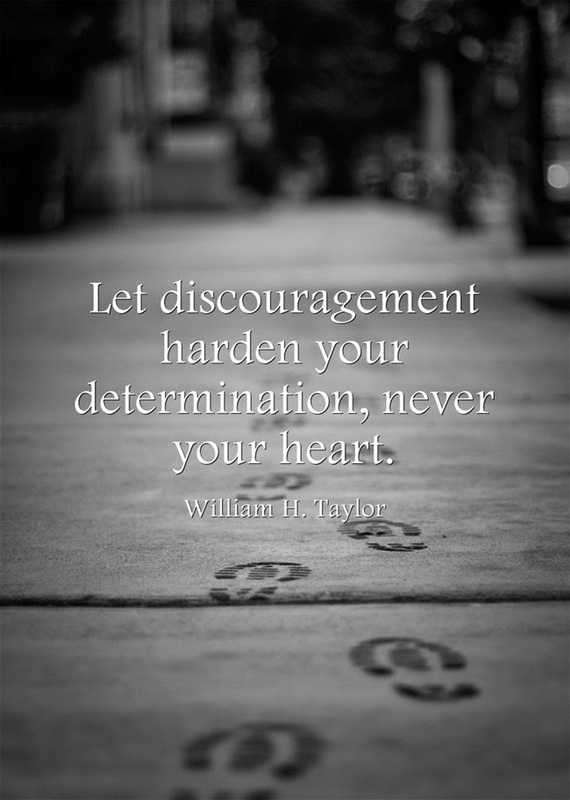 Ofttimes, we have unrealistic expectations, and these can lead to disappointment and discouragement. Faith cannot and should not trump the agency of others. Not every outcome is a matter of faith. We all have shortcomings. Instead of having a "pity party" we should focus on how to improve. We can easily become discouraged by our mistakes or even by unexpected outcomes, but we can use these as learning opportunities for growth. The Atonement applies to us all equally. No one uses "more" or "less" of the Atonement. The Atonement has already happened, so we cannot "add" or "take away from" the Savior's suffering. The Atonement can relieve us of the pain of sin if we repent; there is no need for us to suffer further torment as this price has already been paid. The first thing we should do when we are going through a rough time, whether it's self-inflicted or a situation of circumstance, is to pray. We are never unworthy to pray. We can never sin to the point where prayer cannot help us. It always is there, and it always will help. Our sense of who we are is not dependent on what we do or do not do. We shouldn't define ourselves by these terms. Our daily checklists or tasks, whether completed or not, are just an action and are not personality traits. Our standards and the commandments, whether we keep them or not, are guidelines on living a more Christlike life, and do not make us "bad" or "good" people. Patriarchal Blessings are to be a comfort and a tool to help us in our lives. They are not to be a measuring stick or our inadequacy or a checklist. Look to them for the guidance and peace they offer. If we are not careful or clear in our expectations and goals, there are side effects which lead to dangerous outcomes. We have a tendency to unnecessarily complicate our own lives. Any virtue, when taken to the extreme, can become a vice. We need to make sure that our essential needs are being met first. These include: sincere prayer, scripture study, quality quantity family time, and time to take care of yourself. Too often, we place too much importance on actually unimportant tasks to the point where we are neglecting our physical and spiritual health. This leads us to becoming burnt-out, stressed out, depressed, feelings of inadequacy, and even physical illness. Don't multiply your work, simplify it! Our busyness does not define our worth! For example, do you or your children really need to participate in the activities that they do? Are these activities causing you to neglect the essential activities (prayer, scriptures, etc)? Take care of the essential tasks first with yourself and your family. There will be room for other activities afterwards and you'll find increased energy and focus as you do this. Ask yourself regularly, "Are we neglecting anything essential for unnecessary tasks?" We need a healthy relationship with technology (phones, tablets, internet, media, etc). If technology is so entwined with your life that you literally could not function without it, this is unhealthy. It's more like an eating disorder. As we need a healthy relationship with food because it fuels and sustains us, so we need a healthy relationship with technology as it is an incredibly useful tool of communication. 1) Accept realities: intentions do not justify effort or means. Our feelings don't always make something factual. 2) Seek inspiration in all that we do. 3) Find joy in our imperfections. 4) Allow our weaknesses to become our strengths. 5) Broaden our perspective. The eternal perspective is a very useful tool. The church is not a place for perfect people! The church is not a business. The church is for building the kingdom of God and it is meant to involve everyone. We must look at our callings, not as roles in a business, but as their true purpose in carrying out the Lord's work. Not all tribulation or trials are because we've done something wrong. Remember, Heavenly Father, a perfect being, has wayward children. We have to be careful not to interpret the quality and care of an individual by the outcome of their involvement. W need to ask ourselves, "Do we serve others in the way that they need or the way the Lord would have us?" 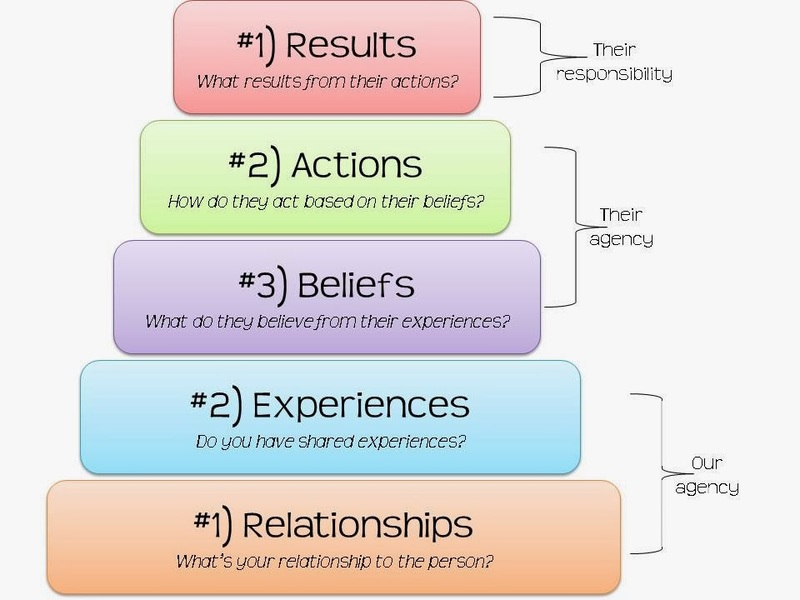 Why are tasks perceived as easier than relationships? Tasks require less time and effort, involve lower expectations with perceived lower responsibility, require no long-term commitment or investment, the results can readily be seen, easily measured and checked-off the list, deliver less guilt as they are easily defendable with "evidence", can involve less disappointment or sadness, avoid further obligation, and are often habits as task-oriented becomes the default. #1) Faith = our relationship with our Heavenly Father, Jesus Christ, and the Holy Ghost. 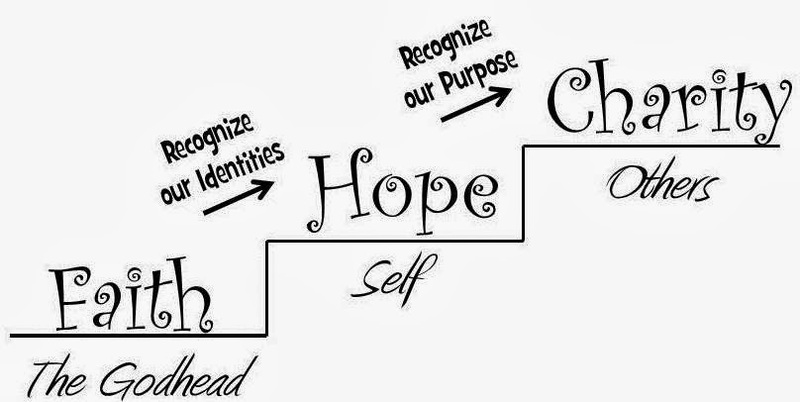 #2) Hope = our relationship with our self! #3) Charity = our relationship with others. Faith, hope, and charity work like a ladder. Each one builds on the next one. Process is the principle! Focus on the process of how you do things, not on just getting it done. The means and methods by which we do things may be more important than the end result. The ends don't justify the means. We cannot achieve godly outcomes through satanic means. Foundational truth: Nothing trumps agency! In your interaction with others, exert influence, not control. We do this by instructing, inspiring, inviting, and investing (our time, talents, and sometimes resources). We are only responsible for our own agency. We shouldn't be forcing or controlling someone else's beliefs or actions. We shouldn't be taking someone else's results upon ourselves. This also includes our own children. We must let our children experience agency and the consequences of using that agency, for the good or the bad. This is how we learn and this is how they learn. They can only learn how to exercise agency righteously if they exercise their own agency and reap the consequences, good or bad. We can practice this personal application of relational perspective in our own families, within our church callings (find out what others can contribute and let them use their agency to do so! ), through home or visiting teaching (influence, instruct, inspire, and invest in your sisters and families), and additionally through attending the temple (this is a relational process too!). Communicate with love! Support, invest, accept, and understand each other recognizing that they are a child of God. Finally, be cautious of your desire to attempt to fix the other person of their problem. Ofttimes, this isn't what they need and this might not be what the Lord would have you do. Remember, you want to build a relationship, not check off an item from your to-do list. Roswell Stake Women's Conference was a wonderful opportunity to be uplifted, learn, and experience the joys of sisterhood. I'm so thankful I was able to attend with the wonderful women from Clovis. This Monday marks the beginning of my new Family Home Evening lesson series. I will be basing the rest of the year's lessons on the Gospel Principles class manual. I love how each principle of the Gospel of Jesus Christ is explained in an easy-to-understand manner. The purpose of this manual is summed up by the scripture on its cover, "Wherefore, they shall come to the knowledge of their Redeemer and the very points of his doctrine, that they may know how to come unto him and be saved" (1 Nephi 15:14). The sections build line-upon-line and precept-upon-precept, so those with little-to-no knowledge of the gospel can follow along. It also allows me to teach June these important principles in such a way that she can understand them. Each chapter will be a lesson, so this week being the first of the series, I'm following Chapter 1: Our Heavenly Father. After all, everything always begins with our Heavenly Father. I'm glad that I live in this beautiful world, Heav'nly Father created for me. He gave me my eyes that I might see,the color of butterfly wings. He gave me my ears that I might hear, the magical sound of things. For all his creations, of which I'm a part. Yes, I know Heav'nly Father loves me. Lesson/Scriptures: This lesson I taught as an outline, in very basic sentences. I wanted to make sure she understood each point before we proceeded to the next one. 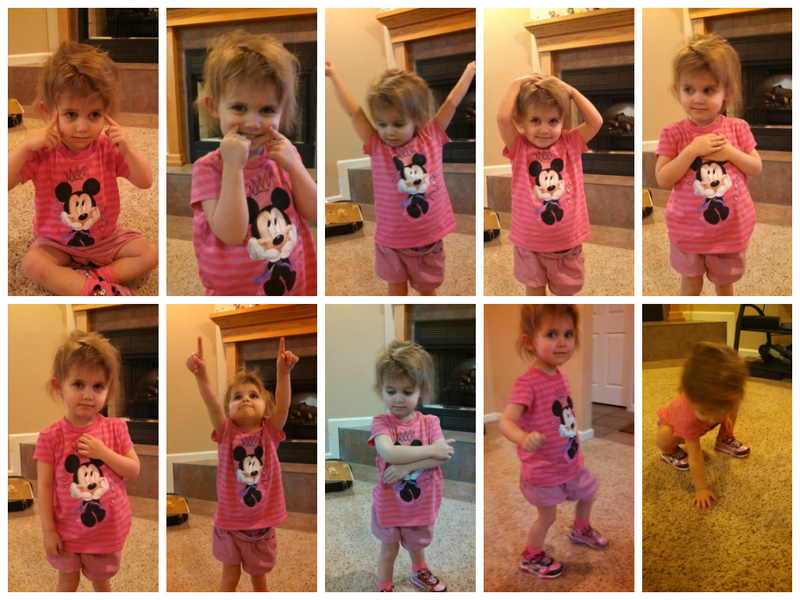 This teaching method worked quite well with June as she would get excited and repeat or even add to each part. 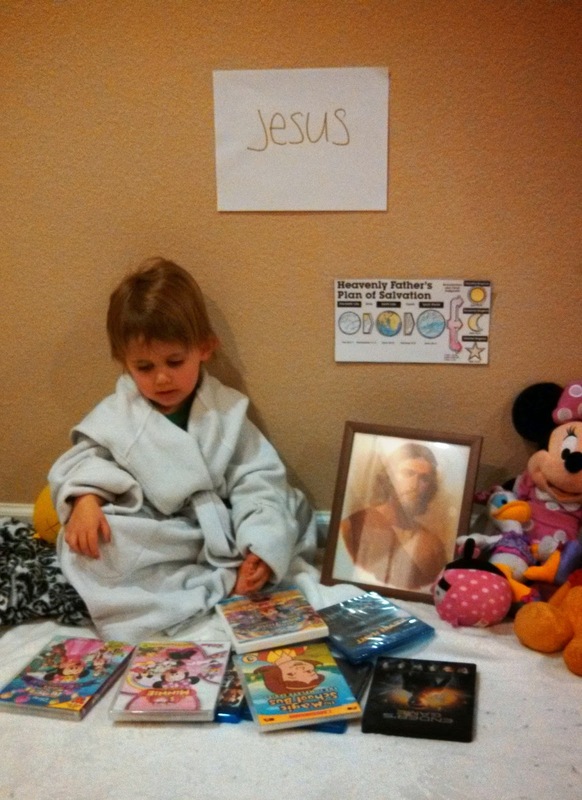 I taught her about our Heavenly Father in the three parts listed below. Essentially, I read each sentence with emphasis. #1) There is a God! Everything we see is proof! All the stars, all the animals, all the plants, all the mountains, all the food, all the people--Everything! God is our Heavenly Father, He created us in His own image and He loves us (Genesis 1:26-27). He is the ruler of the universe and He lives in heaven (D&C 20:17). Heavenly Father and Jesus Christ created the whole universe, the whole earth, and everything here(3 Nephi 9:15, Moses 2:7). #2) The nature of God. Heavenly Father has a physical body like ours, only perfect. He is perfect and righteous. He has all power and He knows all things and He is good. All good things come from Heavenly Father. He creates us in His image and He wants us to be just like Him (D&C 130:22, Moses 1:39). #3) Coming to know God. The more we know Heavenly Father by learning about Him, the more we love Him (John 17:3). The more we love Him, the more we will want to keep His commandments. By keeping Heavenly Father's commandments, we can become like Him and return to live with Him (1 John 2:3-5). We can know Heavenly Father by: believing He exists and He loves us (Moses 4:9), studying the scriptures (2 Timothy 3:14-17), praying to Him (James 1:5), and obeying all of His commandments (John 14:21-23). We can return to Heavenly Father if we do all these things! 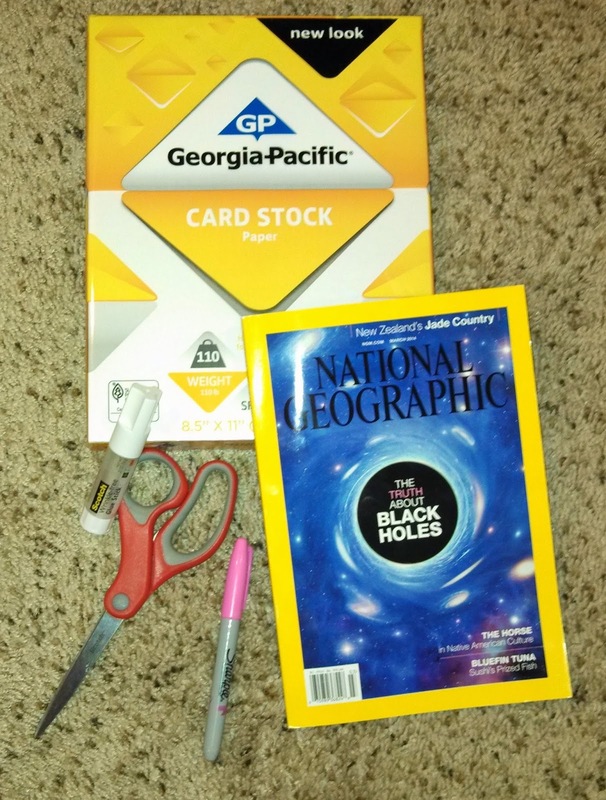 Materials needed: magazine (or print your own pictures), glue, scissors, and background paper. Activity: Originally, I inteded to do a nature walk with June around one of the walking trails in town. There, we would point out all the beautiful creations of Heavenly Father and talk about how much He loves all of us. However, the weather wasn't permitting for an outdoor activity today. 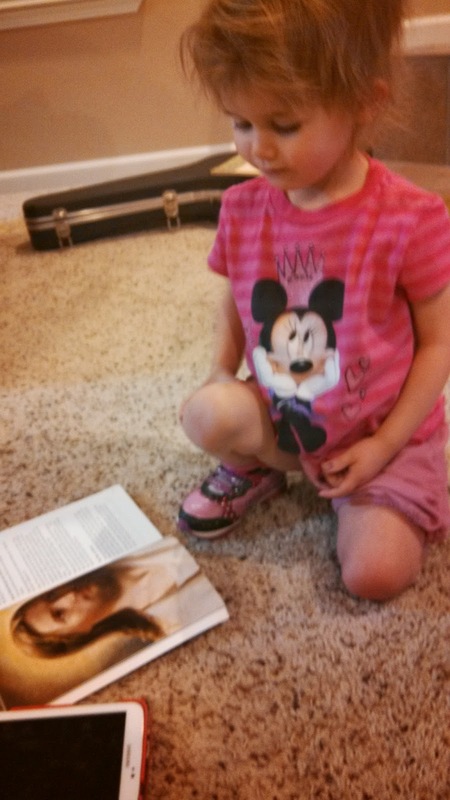 Instead, I bought a National Geographic magazine and June picked out pictures of all the things she liked in it. We made a collage and added pictures of our family. Then, we talked about how Heavenly Father made all of these wonderful things that June loves because He loves June and wants her to be happy. June loved loved LOVED making the collage! 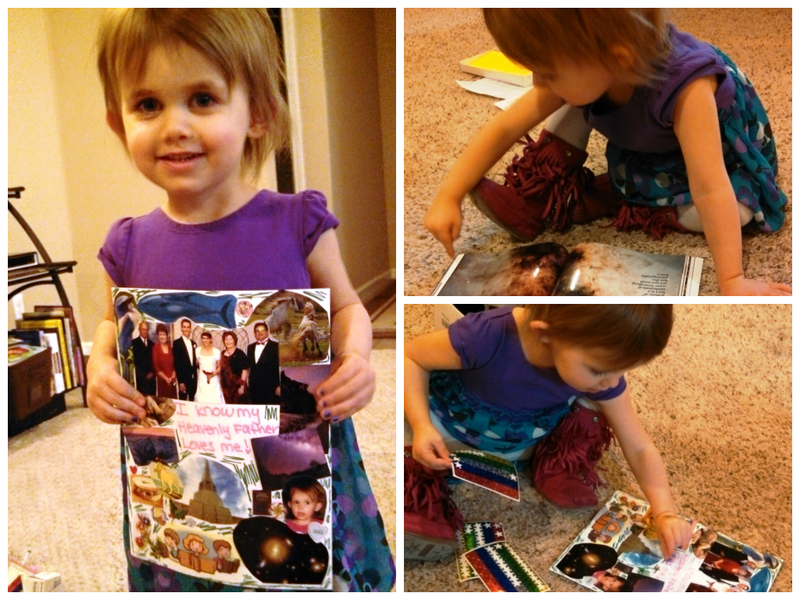 She was so excited to pick out her own pictures. After I cut them out, she was extremely happy to glue them onto her paper. Her collage now sits proudly on the refrigerator door. I've caught her four times already admiring it and saying, "Heavenly Father loves June!" I taught Sunday School today, and I felt strongly that the lesson I needed to teach was on how the Book of Mormon can help strengthen faith in the Atonement of Christ. The lesson went well, although my class was quieter than usual. We had a snow/freezing rain day so half my class was absent and the remainder of us were cold. But, it was still a good lesson and my class is awesome, as usual. Insightful comments, meaningful questions, an everyone took a turn reading. I can't ask for more. 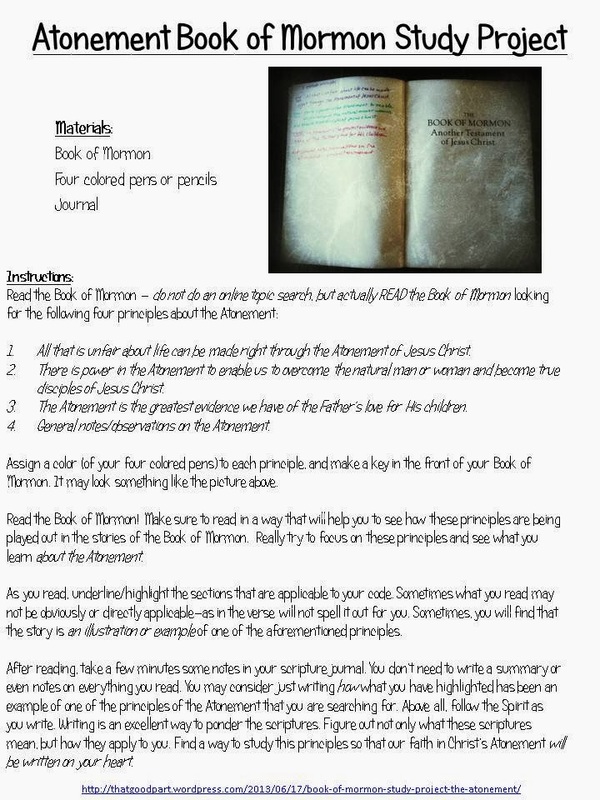 Here is my lesson plan for this topic, I hope that it will help you develop your faith in the Atonement by utilizing the lessons and teachings of the Book of Mormon. in the Atonement of Jesus Christ? The primary purpose of the Book of Mormon is to convince ALL people that Jesus IS the Christ. It teaches that we must “come unto Him or [we] cannot be saved” (1 Nephi 13:40). It contains many examples of faithful disciples who had faith in Jesus Christ and received the blessings of His Atonement. Book of Mormon prophets bore powerful testimony of the Savior, that we “may know to what source [we] may look for remission of [our] sins” (2 Nephi 25:26). Scenario: Maybe this has already happened to you, but if not, quite possibly it will one day. Let’s say a friend asks you if Mormons are Christians. How would you respond? Can you find any Book of Mormon scriptures to support this? Write on the board “How can the Book of Mormon help me strengthen my faith in the Atonement of Jesus Christ?” Divide the class into groups of 3 and assign each a section to study from Elder Neil L. Anderson’s article The Book of Mormon: Strengthening our Faith in Jesus Christ (https://www.lds.org/ensign/2011/10/the-book-of-mormon-strengthening-our-faith-in-jesus-christ?lang=eng): Important for Our Day, Framed within Families, or The Testimony of Jesus Christ. Invite them to look for answers to the question on the board. Encourage each group to present their answers to the class, along with a scripture reference they found meaningful from their assigned section. Many of the examples and references Elder Anderson shared in his talk were Book of Mormon stories depicting how we can develop faith in our Lord Jesus Christ and the importance of His Atonement. Each of them is worthy of a thorough read for those with a desire to know how they can apply the Atonement in their own lives. Taking turns, have the class read aloud the story of Alma the younger (Mosiah 27:24-31) and his testimony to his sons (Alma 26:5-28, 38:6-8). Then read the story of Enos (Enos 1: 2-8). Alma and Enos both repented and received forgiveness of their sins: Ask, “What did their experiences teach you about the Atonement?” End by reading the article Repentance is Real by Joshua J. Perkey from the New Era (https://www.lds.org/new-era/2014/03/repentance-is-real?lang=eng). Alma, in great detail, describes his entire repentance process, from feeling utter despair to the point of wanting death, and then to his sincere repentance as he turns his heart, mind, and existence until the mercy of his Lord. This is the point where he applied the Atonement in his life. Once he did this, the peace, happiness, and comfort he felt at becoming washed clean was overwhelming. His joy was so full that he developed a heartfelt desire for all to feel this same healing. 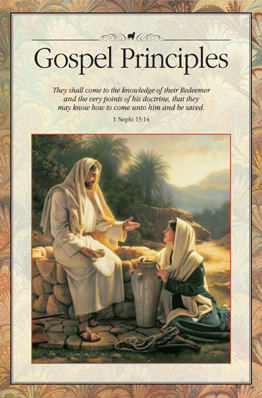 Go over the handout Atonement Book of Mormon Study Project. Discuss how specifically focusing on the Atonement while prayerfully studying the Book of Mormon is the absolute best way to strengthen your faith and grow your testimony of the Atonement. This is a process, and as you dedicate a portion of your time and energy doing this, you will be rewarded with great faith and knowledge. You will better able to apply the Atonement to your own lives: not just in remission of your sins, but as a comfort and a strength during trials and tribulation. 1 1) Do you understand how the Book of Mormon can strengthen your faith in the Atonement? 2 2) Did you feel of the spirit or receive any impressions during the lesson that you would like to share? 3 3)Do you have further questions about the Atonement or the Book of Mormon? I know with absolute certainty that the Book of Mormon is true. I know this because I’ve read it, because I’ve studied it, because I’ve prayed to know the truth of it. Each time I open this book, read from this book, talk about this book, or even think about this book, the Holy Ghost comes upon me like a tidal wave confirming the truth of its words and its teachings. The Book of Mormon is another testament of Jesus Christ, In it, we can receive further light and knowledge o His mission and His Atonement. By studying the Book of Mormon, I have learned how I can apply the Atonement to my own life in any circumstance. My testimony and my spirit have grown through the words in this book. I challenge all to prayerfully study this book and come to know for themselves the truthfulness thereof. I say these things in the name of Jesus Christ, amen. I've found the best methods to bring the spirit into any situation and into any class is to either read from the Holy Scriptures and to bear testimony. Nothing is more effective in this area for once you crack open the Bible or Book of Mormon to read the words of the Lord from the writings of His prophets, the spirit comes in every time to testify of the truth of those words. Once you or your class bear testimony, the spirit once again will fill the room and the hearts of those present with its own witness of truth. This is the best way to instruct, for the spirit is the greatest teacher.